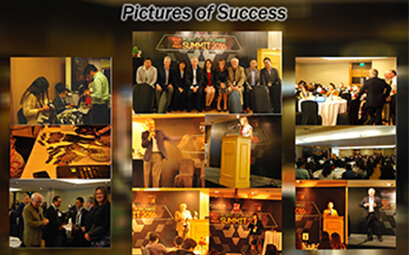 POINTS OF PURCHASE SUMMIT 2016 | 11 FTC Enterprise Inc. 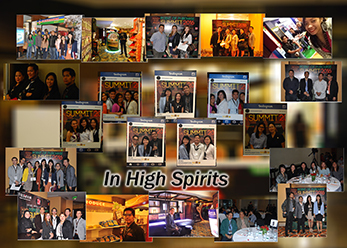 Together with Fuji Films UK and Philippines, 11 FTC ventured into a pioneering event in the industry on September 2016 at the Crowne Plaza Galleria. 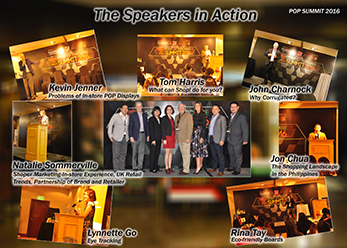 It was primarily a conference graced by a powerhouse of speakers in in-store marketing, retail experience, shopper dynamics, effective POP marketing, trade marketing and consumer and user experience development. 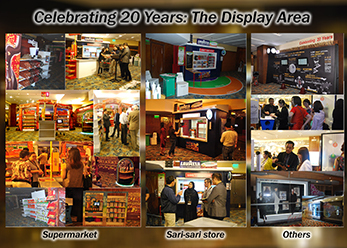 And to complete the event’s big idea, it also featured interesting displays of the latest innovations in POSM’s made to fit a simulated sari-sari store, supermarket, convenience store, HORECA and mall displays – all considered as the leading trade channels in today’s time. 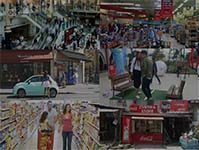 The POSM designs ranged from the use of corrugated boards in different dimensions and complexity levels like tactical bins, shelf frames and arcs, to multisensory features including sensor-triggered displays like a scent-emitting coffee shelf frame with dispenser, LED’s, simple robotics and other programmable features applied to POSMs for the beverage and milk category . 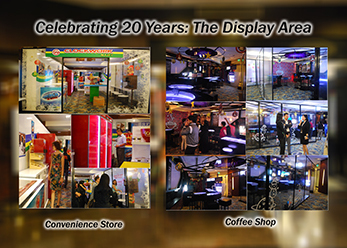 The display area was designed to be an early Christmas treat for the brands feeding them with varied displays in holiday prints using different printing substrates from back to back sticker prints with white and multi-color inks to Katz board hang signs and standees. 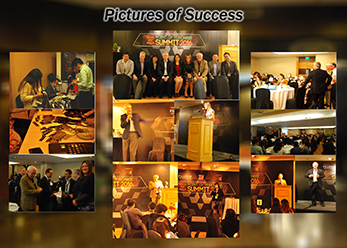 Overall, it was a successful event that left everyone informed, inspired and in high spirits.